The demand within the global market for dried soup is expected to experience an uptick in the years to come. Several factors, including the popularity of packaged food, are responsible for the growth of the global dried soup market. The food industry has undergone several fundamental changes over the past decade. People now prefer easy-to-make and quick-cooking options over full-fledged recipes. This factor has played a major role in the growth of the global dried soup market in recent times. It is expected that the popularity of dried soup would prompt several investors to put their money in the global market. There is also a high possibility of new sellers of dried soup emerging in the global market. The changing lifestyles of the masses have also played a crucial role in escalation of market demand. As a larger population of people subscribes to a host of daily activities, the need for quick-meal options has increased. Furthermore, office-goers often prefer packaged food that is easy to cook and serve. This factor has also played a key role in the growth of the global dried soup market. The presence of several outlets such as retail stores, departmental stores, and groceries that sell dried soup packets has also given an impetus to market growth. The market for dried soup in North America has been expanding at a whopping rate over the past decade. The propensity of the masses to consume packaged food in the US is responsible for the growth of the regional market. The global market for dried soup has been growing at the back of the emerging trend of consuming ready-to-eat foods. Dried soups have become a relished option for a large population of consumers because the dual reason; first, dried soup is the easiest option for people who are looking for quick eating options, and secondly, the taste and health benefits offered by dried soup are appealing to all. Dried soup is easily available across retail shops, groceries, and can even be ordered online, which further popularises them. Dried soup are being manufactured on large industrial scales due to the escalating demand for the product. People also make dried soup in households but their epicentre of production is the processing units. It is anticipated that the global market for dried soup would see a prominent surge in demand over the coming years due to the marketing efforts of the market players. A large population that was unaware about the advantages and taste of dried soup has now started searching for these products. This is a positive sign for the global market for dried soup where a large revenue opportunity lies. The global market for dried soup can be segmented based on the following parameters: distribution channel and geography. The distribution channel plays a key role in expanding the market by retaining a regular flow of products into the market. 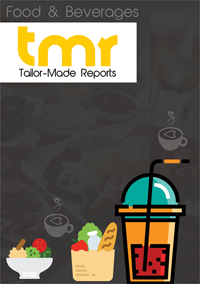 A report on the global market for dried soups acts as a source of core information and insights about the market. The report has been prepared after conducting an analysis of the food industry and the eating habits of the consumers. The global market for dried soup endows commendable opportunities for growth over the coming years. Due to the hectic lifestyles of the people, there is minimal time left for consuming a balanced meal through the day. Hence, the consumer look for quick, tasty, and healthy food options that can save time; dried soups cater to all of the aforementioned requisites of the customer. Hence, the demand within the global market for dried soup has continually escalated over the past years and is expected to retain this trend. Moreover, the demand for dried soup has also increased due to the various types and flavors of dried soups available in the global market. The innovative packaging of dried soups along with the nutritional information printed on the packs also persuades the consumers into buying the products. Despite these positive factors with regards to the growth of the market, the market growth may be hindered by the disadvantages of consuming preserved and packaged foods. Europe has shown sparks of excellence in the global market for dried soups, majorly due to the popularity of the latter across the region. The trend of cooking food in households has been on a decline across Europe and North America. Hence, the demand for ready-to-eat and easy food options like dried soups has increased by leaps and bounds across both of these regions. The market players have been steadfast in promoting and marketing their products to garner the trust of the consumers. Moreover, better manufacturing standards have become the watchword for market players who want to establish their supremacy in the market. Some of these key market players include Kraft Heinz, Unilever, Nestle, and Campbell.